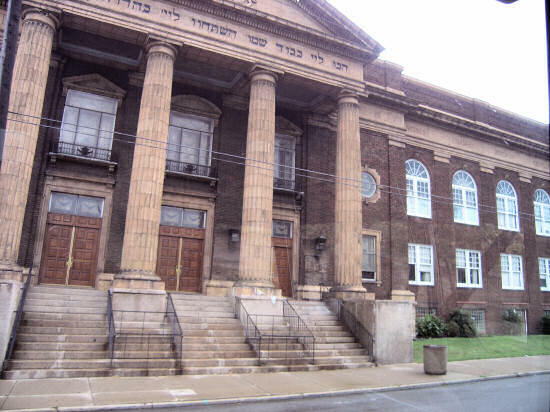 In 1917 Anshe Emeth, an Orthodox congregation whose home was in the Woodland Avenue - East 55th Street area, merged with congregation Beth Tefilo and bought land in Glenville. 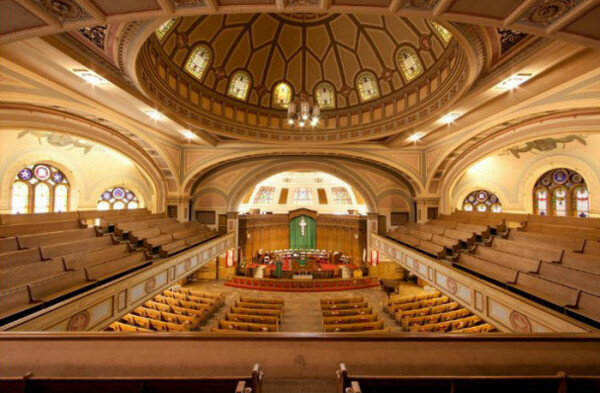 In 1920 its rabbi, Samuel Benjamin, advocated a structure for prayer, study and recreation and in 1922 it would move into such a synagogue-community center facility - the Cleveland Jewish Center. That would be the name the congregation would use. Rabbi Solomon Goldman assumed the leadership that year and soon led the congregation into the Conservative movement. Rabbi Harry Davidowitz served from 1929 - 34 when Armond Cohen, then only 26 years old, became its rabbi. In 1942 the congregation would establish an eastern branch on the property of the old Park School in Cleveland Heights. 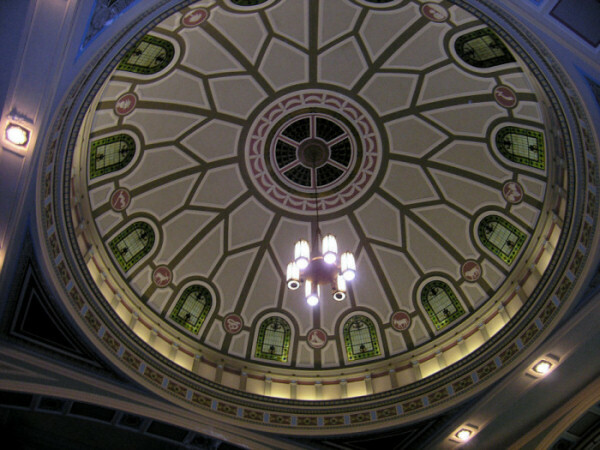 It left the East 105th Street building in 1947 and in 1950 dedicated Park Synagogue. The building at 1117 East 105th Street is now owned by Cory United Methodist Church. The history of Anshe Emeth on the Park Synagogue website. The Encyclopedia of Cleveland History entry. The Center from East 105th Street today. The sanctuary is at the left; the rest of the building was an education center and a community center which included a beautiful ballroom, a large auditorium, an athletic department and even a swimming pool. It was a national trend to build such facilities: a shul with a pool. The Hebrew inscription above the columns is from Psalm 29: "Give unto God, the glory due God's name, Bow down in worship to God in holy beauty." 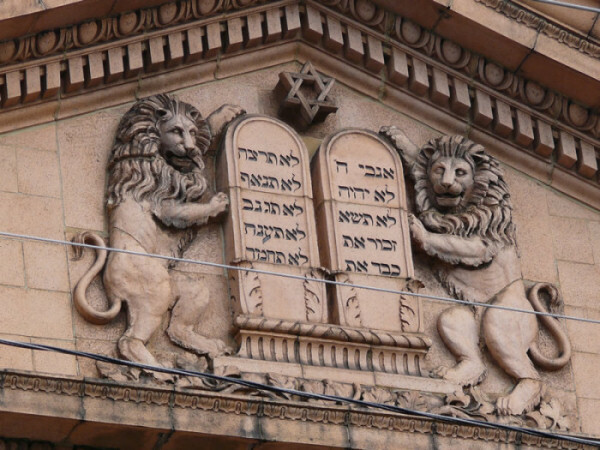 Lions of Judah and the Tablets of the Law. been maintained by the Cory United Methodist Church.